The Battle of the Bulge occurred from December 16th, 1944 to January 25th, 1944 and is one of the last major battles of World War II in Europe. The major participating countries of the battle included Britain, the United States and Germany. 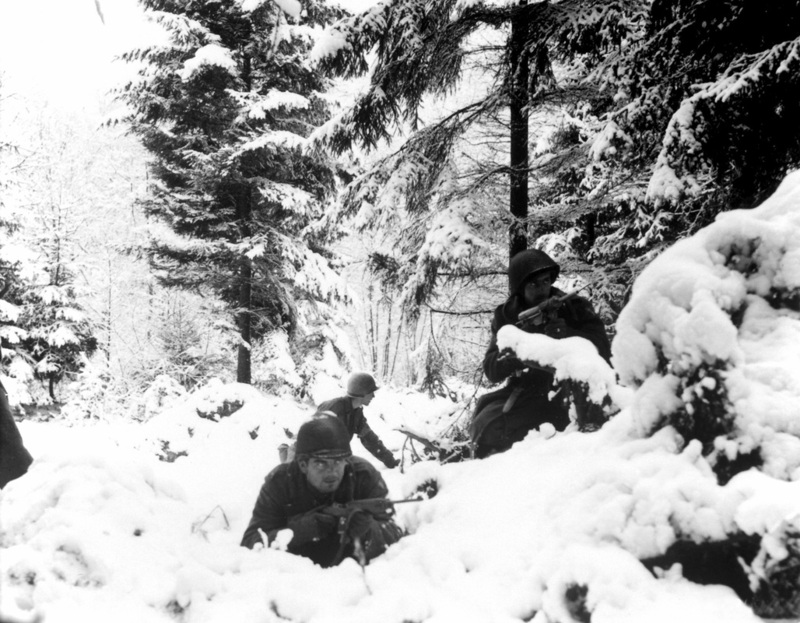 The Battle of the Bulge was a German offensive attack into the Ardennes Forest region of France and Belgium. The Allied countries had been pushing forward through France and had been working to liberate the region from Nazi control, but the German forces carried out a surprise attack that became known as the Battle of Bulge. The battle was named for the “bulge” that was created on war-time maps when the German offensive pushed back the Allied lines. The Battle of the Bulge is a particularly important battle for the United States because it is the Allied nation that had to endure much of the German attack. On the morning of December 16th, 1944 nearly 400,000 German forces, having achieved total surprise, attacked the unprepared Allied forces. 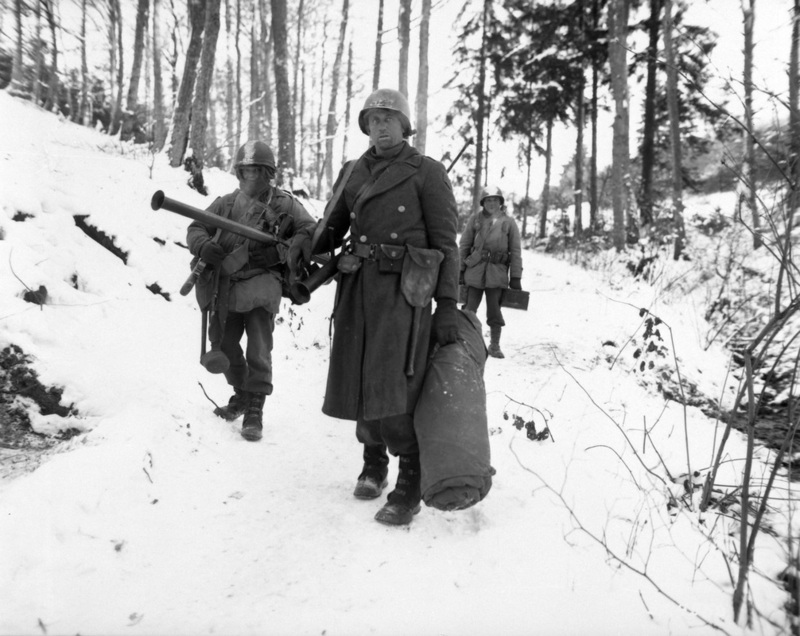 The goal of the Germans was to divide the Allied forces by making a decisive push through the Ardennes Forest. At first the Americans troops struggled to withstand the German attack and were pushed back a considerable distance, which produced the bulge for which the battle was named after. However, the American soldiers were able to hold their positions and put up a strong defensive which would prove too much for the German assault. Finally, the Allies gained the upper hand in the battle when American Lieutenant General George S. Patton turned the Third Army towards the town of Bastogne, on the front lines, and stopped the German offensive. The number of casualties suffered during the Battle of the Bulge for both sides vary wildly. It is generally accepted that the Germans suffered between 65,000 and 125,000 total casualties during the battle. In fact, many historians now look the Battle of the Bulge as a major loss to German and that it significantly lessened the ability of the Nazi’s to maintain control over parts of Europe. The Americans suffered between 90,000 and 110,000 casualties during the battle, making it the third bloodiest battle for the United States in World War II. Today, the Battle of the Bulge is remembered as a time of great heroism by American soldiers who had to withstand a powerful German attack in the cold and difficult terrain of the Ardennes Forest.